There are a number of world-class five-star hotels including world-wide chains in South Korea, but local brand hotel was selected as the best hotel by foreign customers in a recent survey. The survey National Customer Satisfaction Index(NCSI) revealed that foreign visitors chose Hotel Shilla as the one they favored the most among scores of top-class hotels in the nation. The survey was based on the interviews with 18 or older customers who stayed more than two nights in the surveyed hotels. In the survey, Hotel Shilla scored the highest 81 points, followed by Ritz-Carlton Seoul which scored 80 points. Both Intercontinental Hotel and Westin Chosun Hotel took the third place, scoring 78 points. 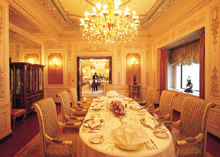 The fourth place was taken by Seoul Plaza Hotel which received 77 points. Grand Hyatt Seoul and Sheraton Grand Walkerhill Hotel scored 75 points each, taking the fifth place together. Seoul Hilton followed them with 77 points. Another local hotel Lotte Hotel was chosen as the one they favored the least. It scored a meager 73 points. The most striking feature in this year's survey is that the overall satisfaction was improved only slightly compared with the last year. The overall industrial satisfaction score was increased by only one mark. Experts point out that the quality of the hotels' service has not been enhanced enough since a year ago. Particularly, foreigners were found to be "not" satisfied with the current level of the hotels' facilities. They pinpointed "inadequate" quality of the facilities including performance, entertainment, and shopping places. The enhanced quality of the hotel facilities became the most important factor in making Hotel Shilla selected as the favorite hotel among the foreign customers. The furniture and the air conditioning system in the hotel rooms along with the tourist information service were jacked up by over five points compared with the last year, which brought the positive influence in increasing the overall score. Its convention rooms received lower score compared with a year ago. Ritz-Carlton Seoul which climbed to the second place from last year's third place thanks mainly to its excellent room service, business center, and entertainment facilities which were improved in this year. But Ritz-Carlton failed to satisfy the high expectation of its customers. Ritz-Carton is highly regarded by both local and foreign customers. Grand Inter-Continental Seoul's fall from grace this year is ascribable mainly to its "sub-standard" service quality. It fell into the third place this year from last year's No. 1 place. It received relatively low score on the friendliness of its staff and furniture in the rooms. The number of customers who complained about the service increased over last year. Westin-Chosun Hotel's customer's satisfaction rate continues to improve despite relatively low score on its facilities including convention rooms and bathrooms. 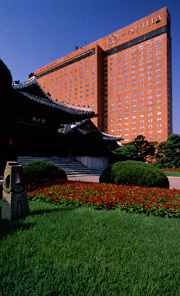 The nation's oldest hotel Westin-Chosun was established on Oct. 10, 1914. 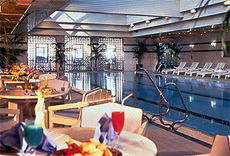 Seoul Plaza Hotel received low scores on facilities including bathrooms, sports center, and performance rooms. Seoul Plaza, ranked as the fourth this year, scored 77 points, two points higher than the last year. Grand Hyatt Seoul found out to be less popular mainly because of its lofty expenses. Its room rates are higher than any other hotel in the nation. This year its score is one point higher than in 2002. Grand Hyatt is still favored by local and foreign customers. Lotte Hotel is trying to improve quality of its service despite the fact that it received the lowest scores this year. 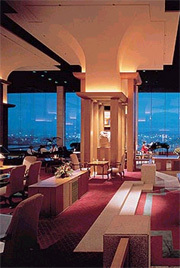 For one example, Lotte Hotel drastically improved its reservation system.